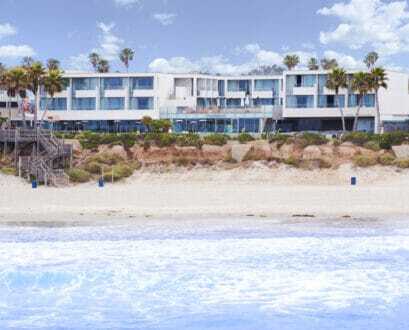 Catamaran Resort Hotel and Spa is a favorite family getaway in Pacific Beach, a classic San Diego beach neighborhood. One of the most alluring qualities of the resort is that visitors can get double the enjoyment from their stay here with access to two different beach types. 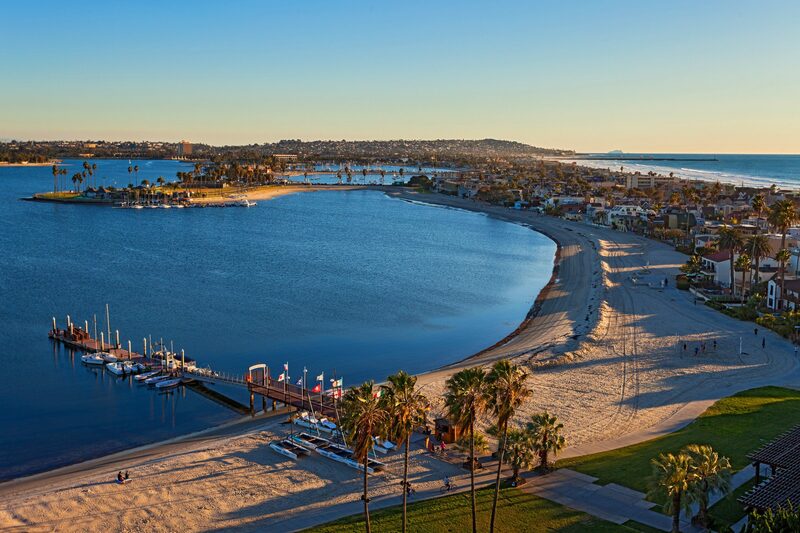 The three-star resort is located on the Sail Bay part of Mission Bay, the largest man-made aquatic park in the country, and San Diego’s hottest water sports hub. 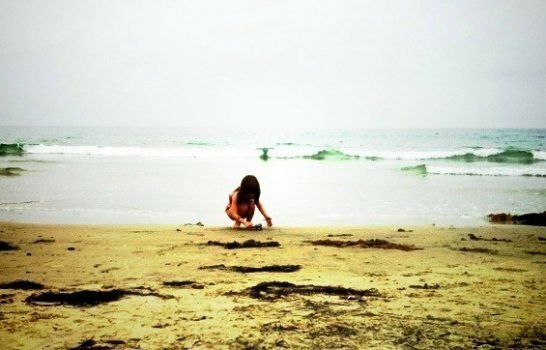 Walk across Mission Boulevard from the resort to Mission and Pacific Beaches for a dip in the ocean. 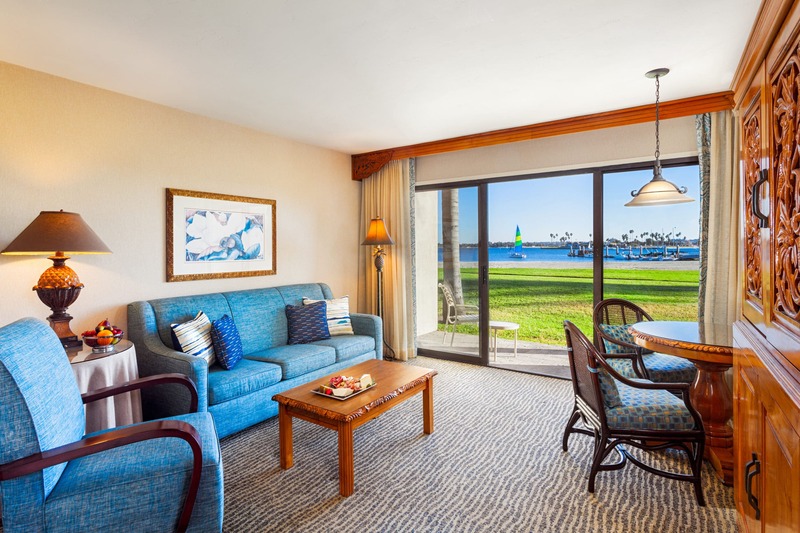 Add exclusive complimentary access to Bahia Belle stern-wheeler cruises, seasonal luaus, bike rentals, a game room and pool, and you have the makings of a casual family beach vacation. Use site partner TripAdvisor to quickly search rates across top online travel agencies including Expedia, Hotels.com, Booking.com and others. Also check The Catamaran's own website as they often offer extended stay and other promotions. 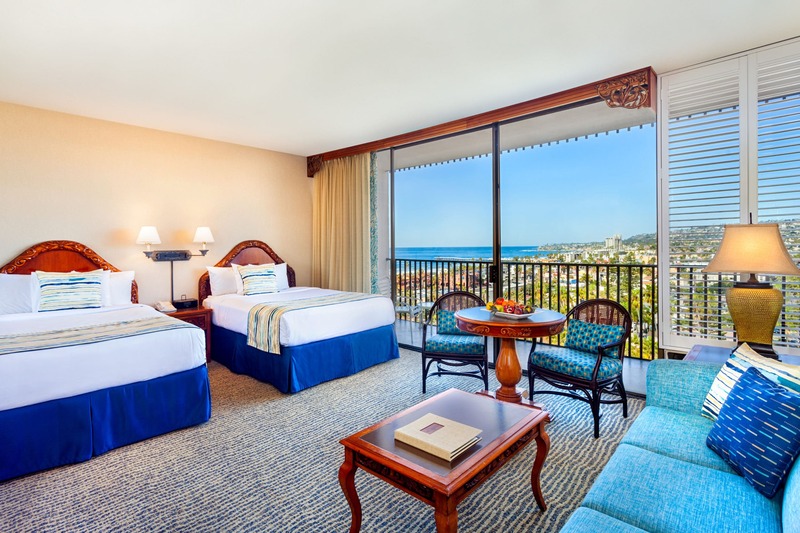 The 310 rooms, suites, and studios at Catamaran Resort Hotel & Spa are situated on a Polynesian-style resort lush with tropical plants, koi ponds, palm trees, manicured lawns, and exotic birds. The Catamaran uses this paradisal ambience to their advantage by providing every accommodation with large sliding glass doors that access either a private patio or balcony. All accommodations have flat-screen TVs with satellite DirecTV, iHome docking stations, complimentary Wi-Fi, Keurig coffee makers, laptop room safes, irons and ironing boards, full-size tubs with showers, hotel spa products, hair dryers, waffle weave robes, and 24-hour room service. 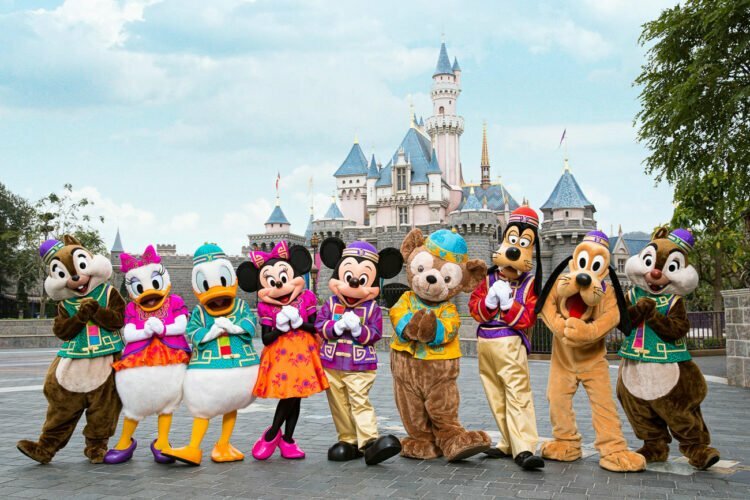 A common guest report is that the rooms are dated despite having new touches recently added. There are seven types of accommodations at Catamaran Resort — Bay Front Rooms, Bay Front Suites, Garden Rooms, Bay View Suites, Studios, Tower Rooms, and Accessible Rooms. 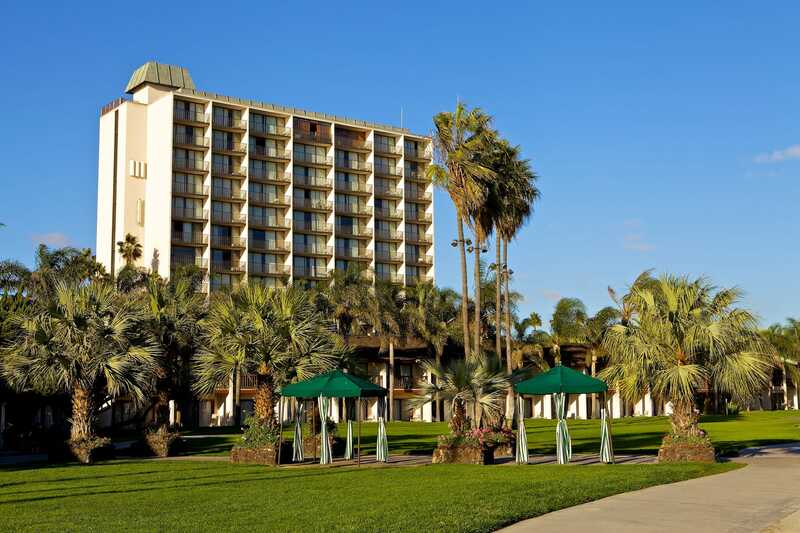 Bay Front rooms and suites are the resort’s signature accommodations. 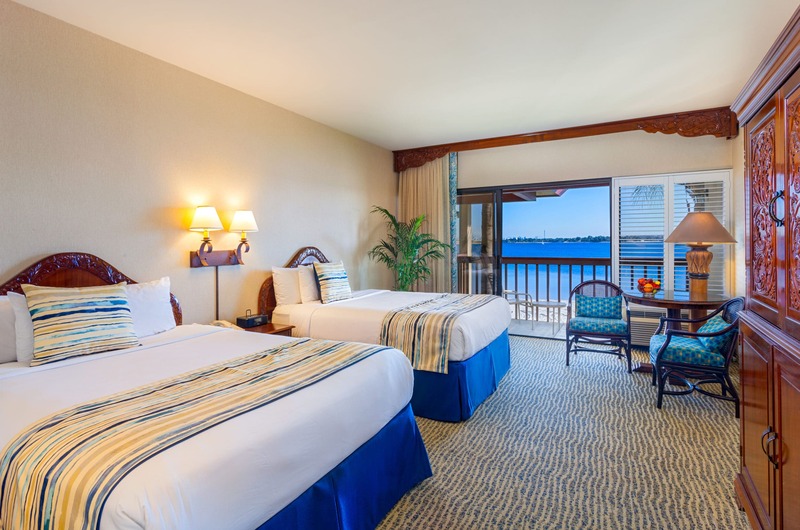 At 382 square feet, you’ll find these rooms in the two-story building next to the two-story suites building facing Sail Bay and the boardwalk. The only thing separating you from the sandy bay shoreline is a grassy area. Choose from either a king bed or two queen beds. These rooms also have a lighted vanity with sink outside the bathroom, a mini-fridge, and a small dining area. Bay Front Suites are spacious at 438 square feet. They’re located in the long, two-story building between the Tower and Sail Bay. The only thing separating your suite from the bay’s sandy shoreline is the grassy area outside your back door. The separate bedroom includes your choice of king or two queen beds. A separate living room has a pull-out sofa bed. There is also a second TV, mini-fridge, wet bar, and dining area. The lighted vanity with sink is outside the bathroom. 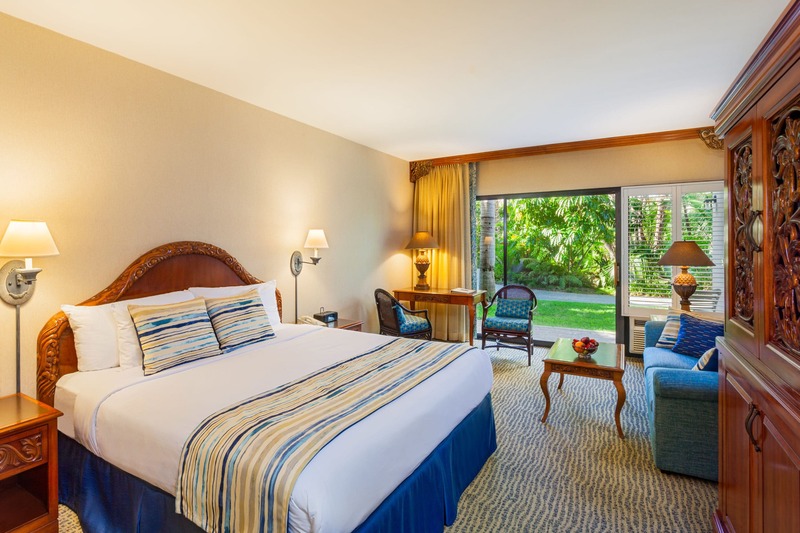 Garden Rooms are situated throughout the resort and overlook lush gardens with over 1,000 different kinds of tropical trees and plants, plus koi ponds and exotic wildlife. Some Garden rooms overlook the pool, so depending on whether it’s the quiet of a garden setting or easy access to the pool that you prefer, you’ll want to let your preference be known at booking. At 329 square feet, Garden rooms are slightly smaller than Bay Front rooms. You can choose either a king or two queen beds. Expect a mini-fridge, lighted vanity with sink outside the bathroom, and a small dining area. Tower rooms, located in the resort’s central Tower, are the smallest accommodations at the resort with 309 square feet. 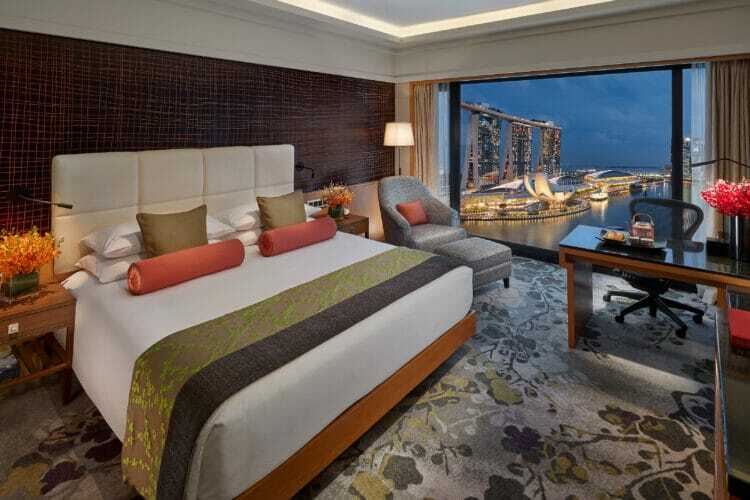 These rooms only come with a king bed. Depending on floor location, Tower rooms open onto the gardens or overlook them on lower floors. Higher floors provide dazzling views of Mission Bay and the Pacific Ocean if the room is south-facing. 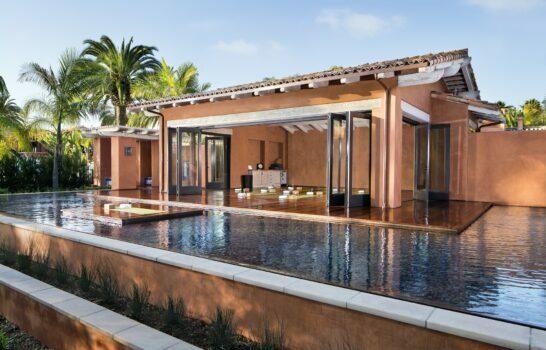 North-facing rooms have inspiring views of the Pacific coastline to La Jolla. These rooms don’t have vanities outside the bathroom or mini-fridges. However, you can request a mini-fridge for your stay. Studios at Catamaran Resort are located in the Tower and provide 430 square feet of space. 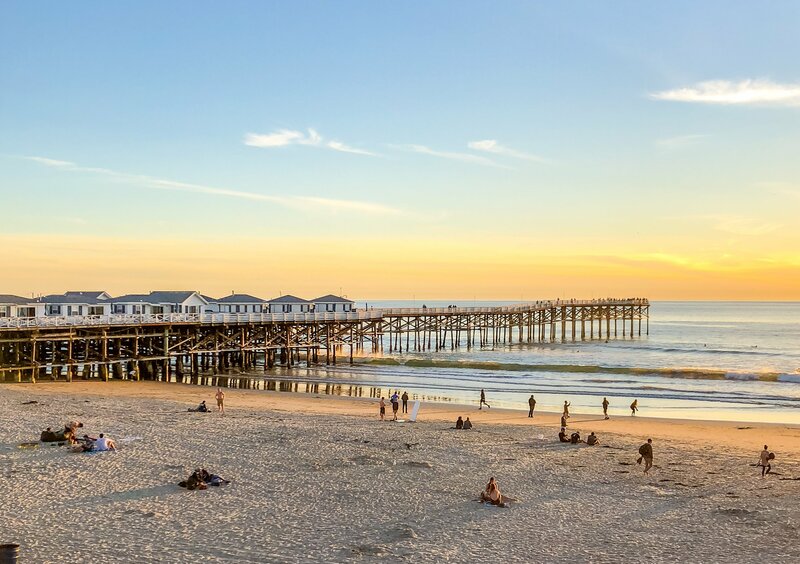 North-facing studios offer views of the Pacific coastline to La Jolla, and south-facing views include Mission Bay, the San Diego skyline, and the Pacific Ocean. Studios have two queen beds, en suite with single sink, lighted vanity outside the bathroom, small dining area, and a balcony. A kitchenette includes four-burner electric stove and oven, full refrigerator, cookware, microwave, toaster, and tableware. Upgraded high-speed wireless internet is complimentary. Bay View Suites are located in the Catamaran’s resort Tower. 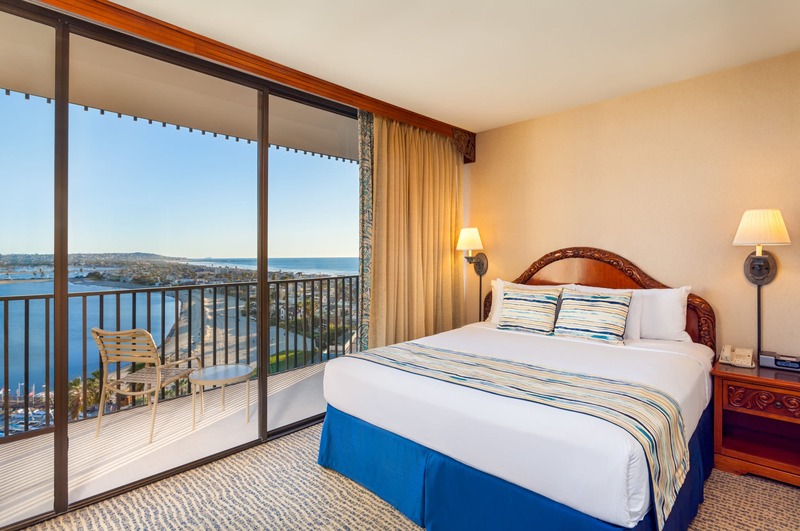 These are the resort’s largest accommodations at 604 square feet, offering stunning views of Mission Bay, the Pacific Ocean, and the San Diego skyline. Suites have a separate bedroom with a king bed, TV, en suite with single sink, walk-in closet, and balcony access. The separate living area has a full-size sofa bed, comfortable chair with ottoman, second TV with a gaming station, breakfast bar, dining area, and balcony access. There is also a kitchenette with a four-burner electric stove and oven, full-size refrigerator, toaster, and microwave, plus cookware and dishes for four. These suites come with upgraded high-speed Wi-Fi. Accessible accommodations come in two styles at Catamaran — Garden Rooms and Bay View Studios. You can expect the same room and suite amenities, plus special accessible amenities. These rooms have lowered bed height for two queen beds, under bed space for Hoyer Lift, modified closet, roll-in shower, accessible bathroom vanity, hand-held adjustable height shower wand, and a transfer bench if requested. Lever style door handles, remote control automatic door entry (Bay View Studio), accessible temperature controls, light switches, and power outlets, closed caption TV, and visual notification for both door and phone are included. Tip: There are very few adjoining rooms at Catamaran Resort & Spa, but they do exist. 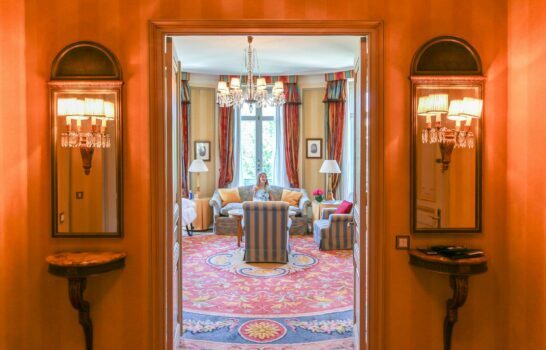 Adjoining rooms can only be reserved by calling the hotel directly. 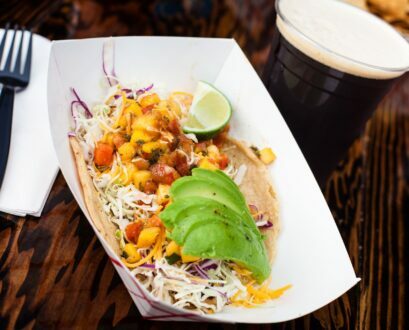 Guests have three dining options at Catamaran Resort & Spa — the modern new Oceana Coastal Kitchen, which is their signature restaurant, Moray’s bar with a tropical patio, and Lava Java grab-and-go cafe. Oasis Snack Shack on the beach, and Pool Bar & Grill are open seasonally. A highlight of Oceana Coastal Kitchen features an 800-gallon cylindrical jellyfish aquarium in the center of the dining room — a fascinating centerpiece for kids and adults alike. 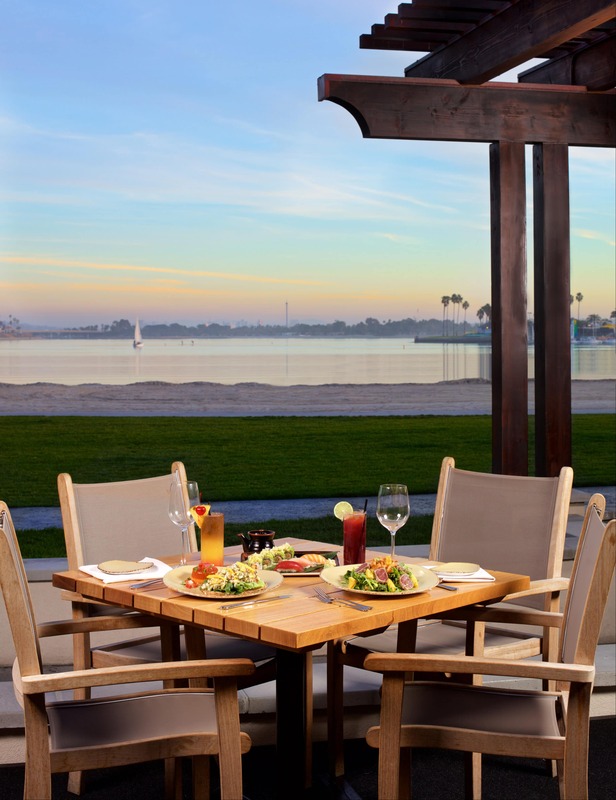 The décor reflects a whimsical marine vibe, with an expansive al fresco dining area that overlooks Mission Bay. Semi-private dining for 16, and private dining for 12 are available. Guests should expect classic California cuisine with a modern edge, made from local and sustainable ingredients. There is a 25-foot-long cold bar where you can take a seat and watch your selection being prepared. From fresh coastal seafood to savory plates to handcrafted sushi, every menu choice is a good one. The restaurant is open for breakfast, lunch, and dinner. Kids’ menus are imaginative with vegetarian and gluten-free options. Wednesday evenings, enjoy live music during dinner. Sunday Champagne brunches with bottomless mimosas are legendary, and a neighborhood favorite. There is complimentary valet parking for restaurant guests. This casual Polynesian-style bar offers guests craft, domestic, and imported beers, wines, and signature and barrel-aged-cocktails. Hungry? 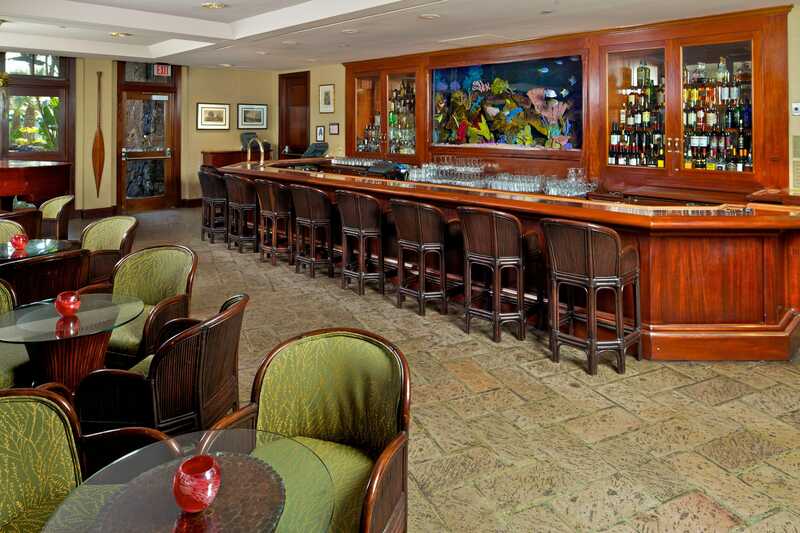 The bar also serves appetizers, flatbreads, sushi, cold bar selections, and small plates. Indoors, the atmosphere at Moray’s is laid-back with a giant saltwater aquarium behind the bar, and multiple TVs tuned to the latest sporting events. Outdoors, a lush tropical patio with comfortable seating, fire pit tables, and tiki torches provides a paradisal ambience where you can indulge in a signature Moray Mai Tai. There’s seasonal live music on the pet-friendly patio. Lava Java is a tiki-themed grab-and-go cafe situated in the Catamaran Resort lobby. You’ll find locally roasted Ryan Bros. coffee, specialty teas, smoothies, salads, sandwiches, and baked items. Oasis Snack Shack is located on Sail Bay’s sandy beach next to the resort dock. 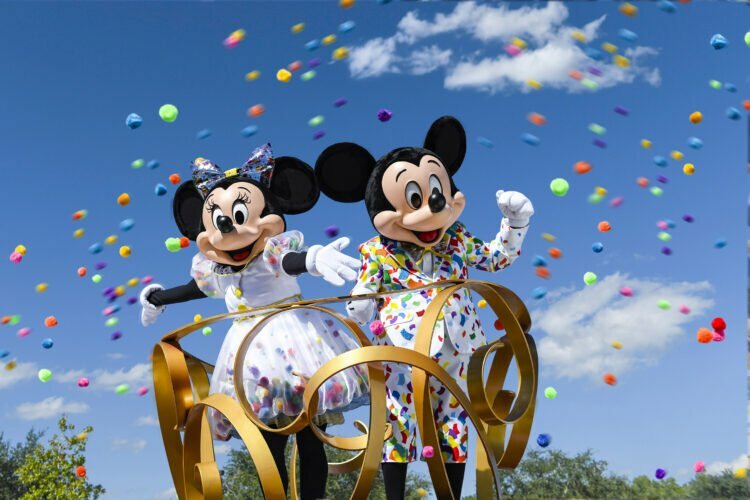 It offers beverages, snacks, and Dippin’ Dots ice cream with walk-up service. You can also rent beach toys and beach games here. 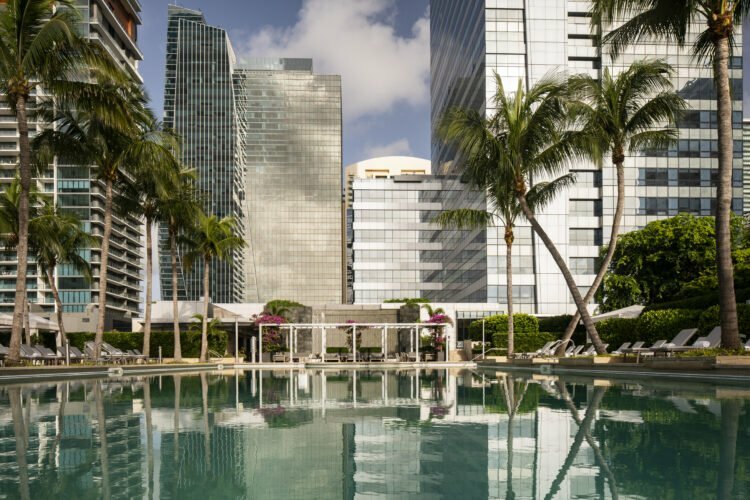 Pool Bar & Grill, situated poolside, is open in the spring and summer. You can enjoy barbecue favorites like hot dogs and hamburgers, cocktails, and other beverages. 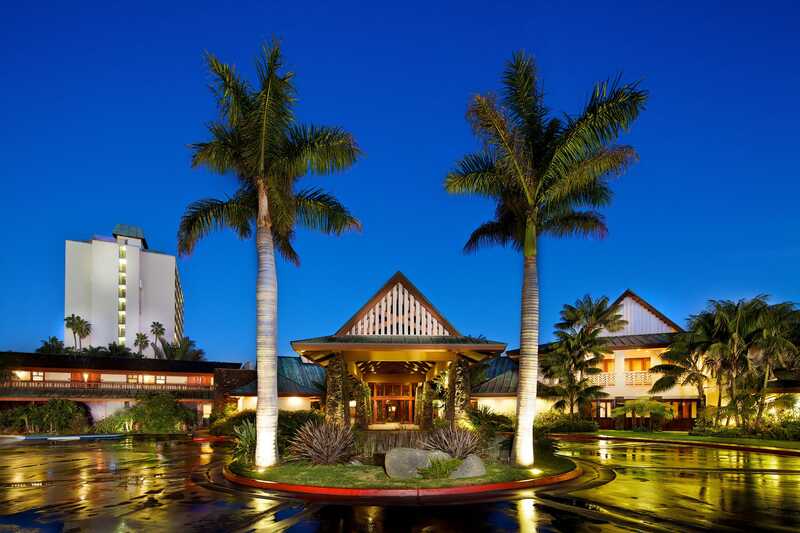 Live Polynesian music plays on Saturdays. Catamaran Resort hosts special event dining throughout the year like their Thanksgiving Harvest Buffet and a Christmas Champagne Brunch. Check the website before your arrival for upcoming special dining events. Catamaran has tons of family-friendly amenities for their guests. From the Arcade to Catamaran Spa to Bahia Belle, the list is long. Catamaran Resort is located just steps from the sandy shores of Mission Bay. You can lounge in beach chairs shaded by large umbrellas, or find your place on the sand for a leisurely beach day. There’s a net for beach volleyball. Seasonally, numerous beach toys can be rented at Oasis Snack Shack where you can also find tasty snacks and beverages. Chair-side food and beverage service is also available seasonally. The large, resort-style pool at Catamaran is nestled in a lush tropical setting. Open year-round, the heated pool and nearby hot tub provide hours of family entertainment. Numerous lounge chairs are scattered about the tiered patio surrounding the pool where guests can relax in sun or shade. Seasonally, local Polynesian dancers provide hula-style performances. Resort staff lead Hawaiian games and activities for kids hourly from 1 p.m. to 3 p.m. mid-June to the end of August. The Catamaran Spa Fitness Center features both cardio and strength training equipment. Cardio machines have personal 15-inch TV monitors with complimentary headsets. Some cardio machines are located on an open-air patio. Whether you exercise indoors or out, you have great bay views. The waterfront location of the Catamaran Spa sets up a one-of-a-kind experience. Spa treatments, inspired by Asian and South Pacific healing traditions, use botanical- and marine-based products. Guests can indulge in a complete menu of services from massages to facials to body wraps. 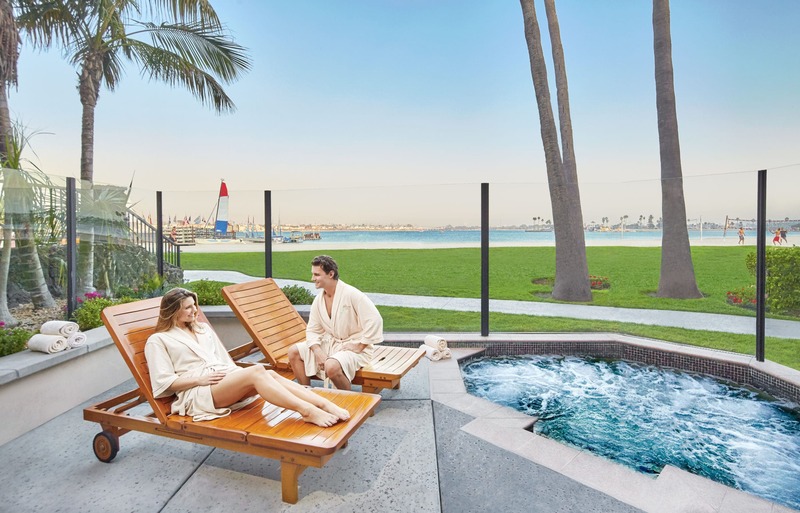 The private outdoor whirlpool provides beautiful Mission Bay views. Seasonally, guests can join open-air yoga sessions on Sunday and Wednesday mornings. Catamaran Resort offers guests a unique experience with their Sunset Luaus. These authentic Polynesian luaus feature an all-you-can-eat buffet, including delicious Hawaiian favorites like slow-cooked kalua pig. Guests enjoy traditional music while dining, followed by a Polynesian show performed by San Diego’s Pride of Polynesia featuring music, dancing, and drumming choreographed to tell the story of the Polynesian people. 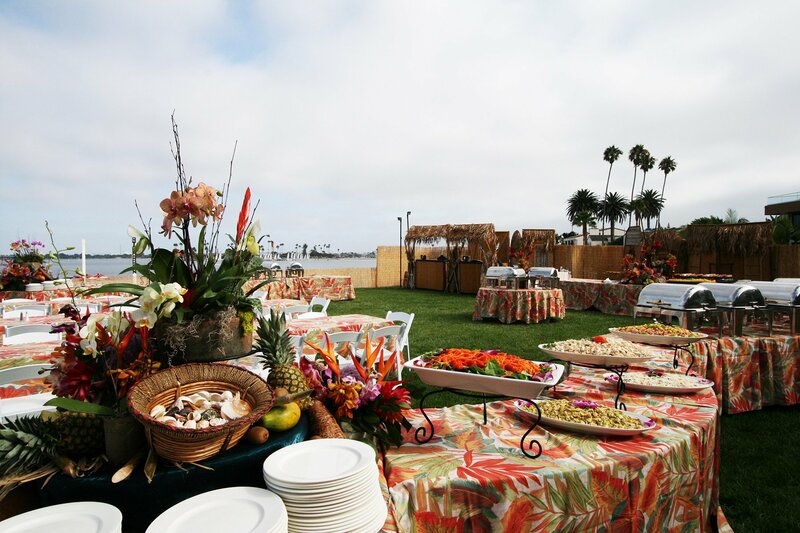 Luaus take place bayside on the grassy area. You receive a lei and mai tai upon arrival. There are five resident parrots at Catamaran from cockatoos to colorful macaws. 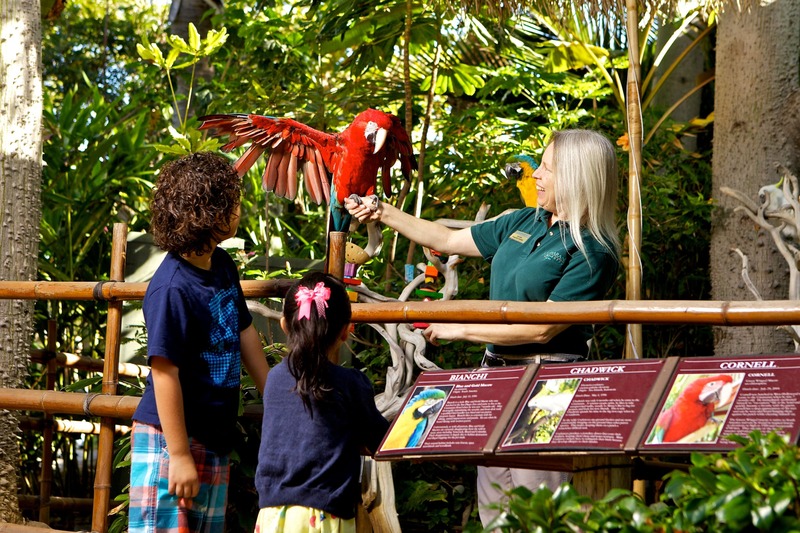 Handlers give fun and educational outdoor bird shows where the parrots demonstrate their antics and language abilities in a casual, playful setting. Between shows guests can marvel at the parrots, and learn about their characteristics from a set of posted storyboards. The Polynesian-themed Catamaran Resort is crisscrossed with winding walkways, so you can explore the full depth of this tropical paradise. You’ll discover over 100 varieties of palm trees, 1,000 kinds of exotic plants, bamboo, Balinese handcrafted totem poles, tiki torches, waterfalls, koi ponds, colorful parrots, and other wildlife. Catamaran Arcade is located next to the resort’s pool. The kid-centric arcade is equipped with a billiards table, air hockey, arcade-style video games, and driving simulators. Use is only complimentary during high season — mid-June to the end of August. This and the poolside, staff-led Hawaiian cultural games have replaced Kids Club entirely. Complimentary Sunset Movies by the Bay start at dusk on Wednesday, Friday, and Sunday nights. 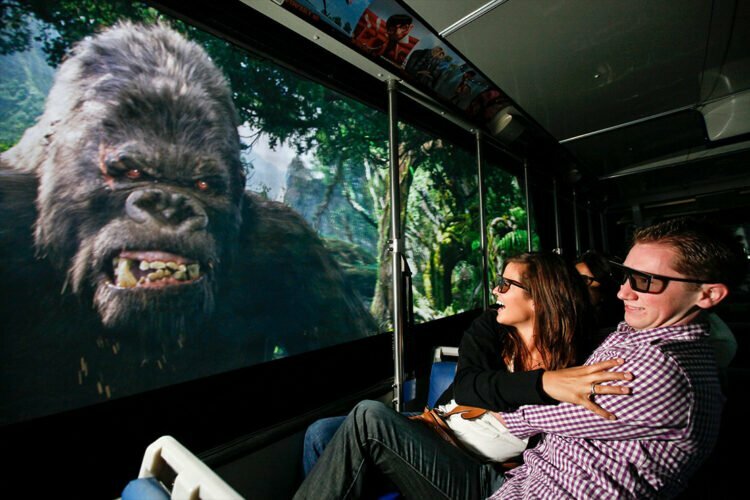 Catamaran sets up a large viewing screen, provides chairs, and offers popcorn and other snacks. Movies are family-friendly. Once the sun goes down it can get chilly beachside, so grab a sweater or blanket before you head to the beach. Bahia Belle is a Mississippi-style stern-wheeler that cruises Mission Bay between Catamaran Resort Hotel and Bahia Resort Hotel, the Catamaran’s sister property. The three-story stern-wheeler has an observation deck for panoramic views of Mission Bay and the surrounding area. Family Hour cruises are 7:15 p.m. to 10 p.m., after which boarding is 21 and up for cocktail cruises with music and dancing 10:15 p.m. to 11:45 p.m. Cruises are daily during summer, and weekends only the rest of the year. No cruises in December. Action Sport Rentals is anchored at Catamaran Resort offering hotel guests both lessons and water sport equipment rentals year-round. 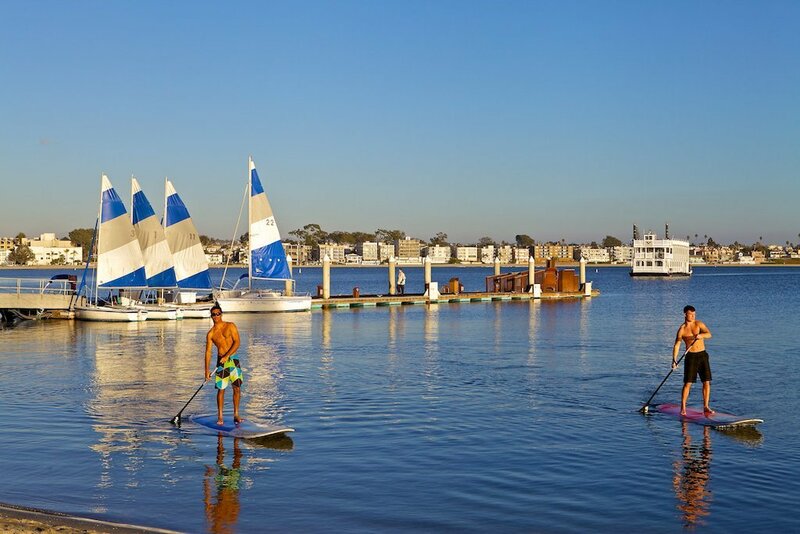 You can learn surfing, kayaking, wake sporting, sailing, and stand-up paddle boarding. Besides water sport rentals, you can also rent a Segway or bicycle here. 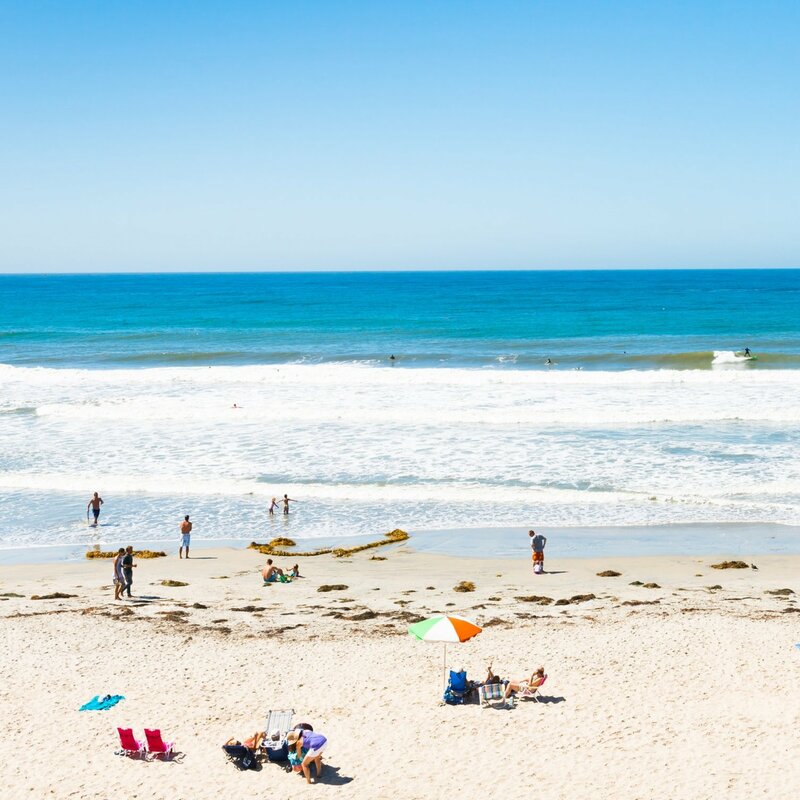 Catamaran Resort Hotel & Spa is at the intersection of two classic San Diego neighborhoods — Pacific Beach and Mission Beach. 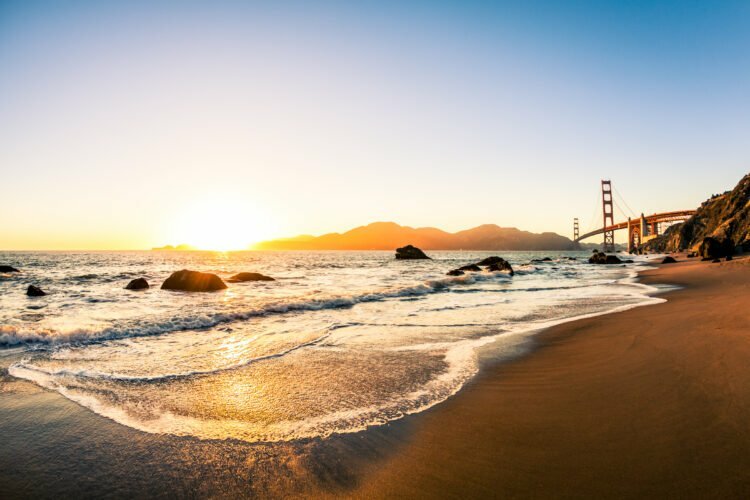 You can walk or grab a resort bike rental, and head across Mission Boulevard to the Pacific Ocean where it’s an entirely different vacation experience. Ocean Front Walk is a long boardwalk that stretches the distance between the two communities and runs parallel to the beach. 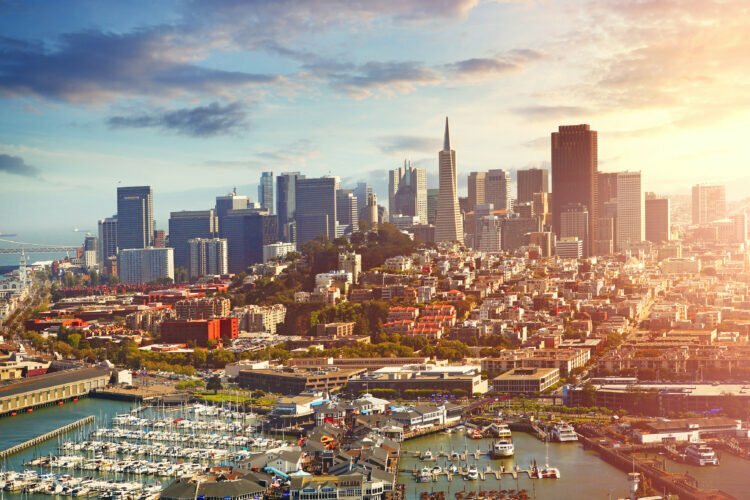 You’ll discover Crystal Pier to the north and Belmont Park — a 125-year-old amusement park to the south, plus tons of shops, bars, and cafés. Head back across Mission Boulevard to the Catamaran and follow the boardwalk there that encircles Sail Bay for a quieter experience. Across Mission Bay from the Catamaran is SeaWorld San Diego. It’s a short drive to the famous water park. 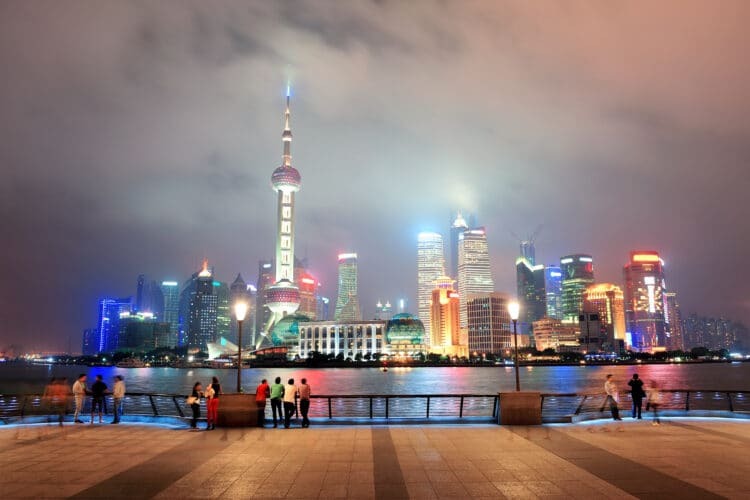 Check prices across top sites on TripAdvisor. However, you’re likely to find the best rates directly through the Catamaran’s website. They also offer AAA, AARP, military and returning guest discounts.